If you are passionate about writing, then Blogging is the right field for you to make good money by sitting at home. When you search something on any search engine, generally you get that result from best blogging sites. That’s why blogging profession is growing day by day. There is no loss in Blogging. It comes with many opportunities to enhance your life. So, here is the complete guide to create free blog on blogspot. When I was a child on the Blogging sector, I had created many free blogs for fun. At that time, I don’t know about making money with a blog. After knowing that, I took blogging seriously and interested in Blogging field more than before. Having a blog or a website creates a unique personality among friends. Many of you also tried to create your own blog. Probably some of you got success and some not. As a novice in Blogging, you must have to try your luck with the free source of Blogging. 2 How to create a blog on Blogger.com? To create a free blog, Blogger.com and WordPress.com is the best medium. Blogspot.com is known as Blogger.com. As my opinion, Blogger.com is finest of them. If you are going with Blogger.com, you’ll get a free sub-domain as “yourBlog.blogspot.com” which is hosted on Google and much more benefits from Google. Blogger is faster and optimized. Let’s know how to create your first free blog? How to create a blog on Blogger.com? Go to Blogger.com and log in with your Gmail id and password. In blogger home page click on “New Blog” button and you’ll see a pop-up window. Now fill-up the form. Your blog name in Title and the blog address in Address box. After entering an address it’ll show you the address is available or not. If it is available then click on Create Blog! button. Your blog is ready now. You can check the above picture. 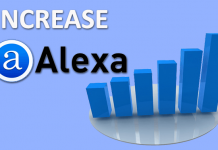 Adding a custom domain (Blogname.com) to your blog means to add a brand name to it. You can buy a domain as required your work from any domain provider website. 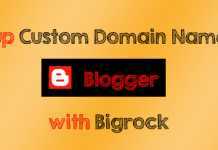 To add your custom domain, navigate to Settings >> Basics in Blogger website. In Publishing section click on “+ Set up a third-party URL for your blog“. Now enter your domain name as www.YourDomain.com and click on Save button. You’ll see an error, “You have not been able to verify your authority to this domain. Error 32.“. You also see the DNS (Domain Name System) settings for your domain. 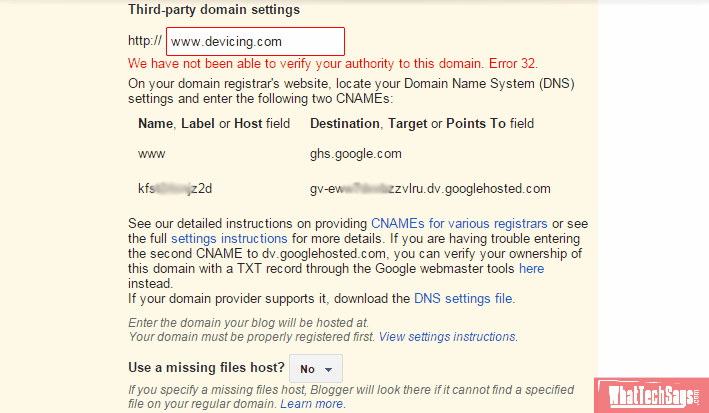 If you don’t understand about DNS settings, then click on “settings instructions“. Now put the right DNS settings to your domain provider site. After that click on Save button. Now your Blog is ready with a custom domain. 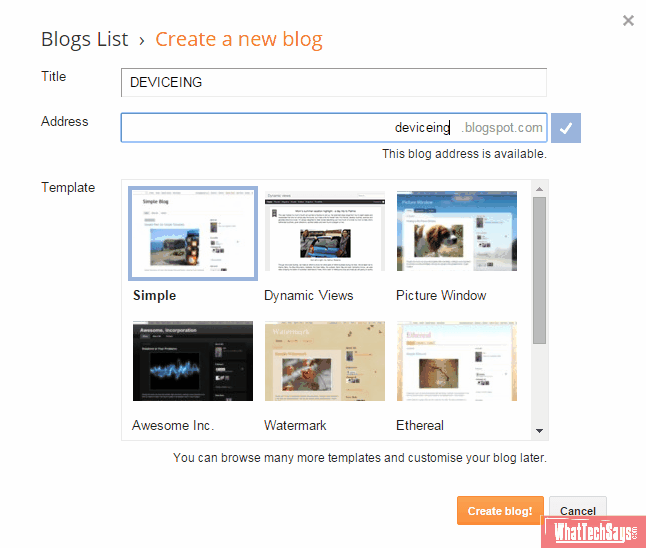 In Blogger, you can design blog in Layout section. It is very simple to decorate. If you want to set-up a new template goes to Template section and choose among some pre-defined blogger templates. To upload your own template, click Backup/Restore button, Choose your template file and upload it. You can find a verity of designed template by searching on Google. Creating and managing a blog in Blogger is very easy. Create your own blog today and show you creativeness by writing your amazing words. If you have any problem or query related to creating a blog, then feel free to comment below.